Home News Vienna battles rising housing costs — can a new policy fix it? The model of subsidised housing has shaped the Austrian capital, which has continuously been ranked the world’s most liveable city. More than 60% of Vienna’s residents are living in community-owned or nonprofit social housing. However, Vienna is not immune to the pressures of rising prices on the private housing market — rents and construction costs are exploding. On November 29, the Viennese state parliament will pass a new area zoning plan to develop the construction of new subsidised housing. 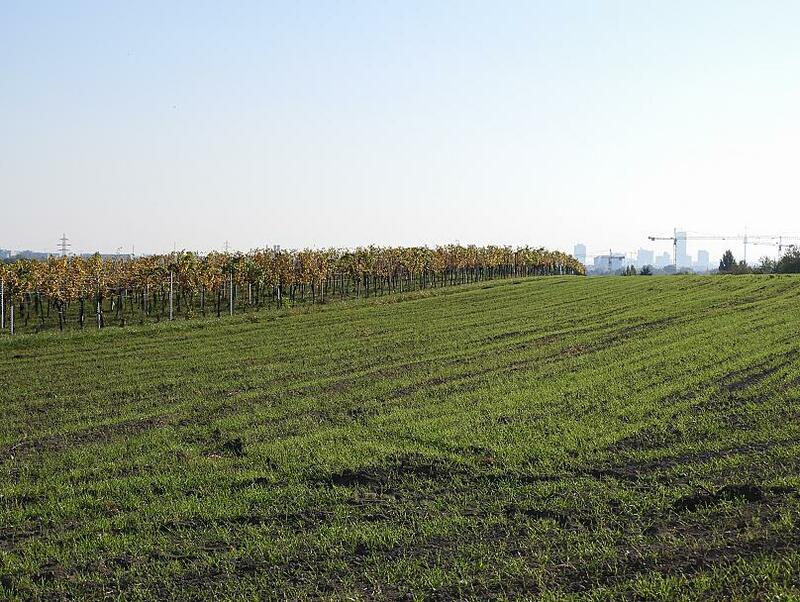 Farmland in Stammersdorf, in the Northern part of the city, illustrates the impact of the reform — exemplary for many agricultural or gardening properties on Vienna’s outskirts. “Just 30 minutes by car from the city centre to your own farmland,” this is how real estate dealer Patrick Schönherr currently tries to sell the land. Schönherr told Euronews he only wants €29,500 for 690 square metres of farmland. Under the new area zoning plan, the city can now attribute a new category of “subsidised housing” to these properties. More than half of the apartments built on the newly redesignated areas will be turned into affordable housing. Over the years, Vienna has grown by around 20,000 inhabitants each year, soon it will pass the 2-million mark. There is a need for around 10,000 new apartments annually, said Verena Mörkl from the architecture and city planning bureau Superblock. In the past years, there have been on average 6,000 to 7,000 new or refurbished homes. The red-green coalition between the social democratic party and the green party has been in government in Vienna since 2010, Christoph Chorherr has been decisively involved with the development of the reform. While the rental prices on the subsidised market have moved along the lines of inflation, rents on the free market have risen up to 43% between 2008 and 2016, according to a report by Austria’s chamber of labour. Vienna prides itself on the topic of affordable living; the city knows it is a stronghold of subsidised housing, following a long tradition: The first so-called “Gemeindebauten”, the social housing buildings run by the state, was built in the 1920s. Today, the city manages around 220,000 community-owned flats, making it the largest municipal housing provider in Europe. 1 in 4 residents lives in this type of apartment. There are non-profit cooperatives, which offer around 245,000 further housing units in Vienna. This adds up to the around 60% of people, who live in subsidised housing. One of them is Maria Eder, who lives in Vienna’s most prestigious “Gemeindebau”, the Karl-Marx-Hof. She has lived here since 1978. Increasingly, tourists visit the iconic red building, a well-established landmark of Vienna. Eder pays €251 per month for her 50m2 flat, excluding additional costs such as electricity. “Compared to other big cities, Vienna still enjoys a rather good mix” Mörkl added.